The jury heard closing arguments Tuesday in the trial of a man charged with killing his 7-month-old son by throwing him off a bridge. The prosecution and defense made their summations in Middletown Superior Court in the case of Tony Moreno. Jurors are now deliberating Moreno's fate. Moreno is charged with murder in the July 2015 death of his son, Aaden. During his closing arguments, Middlesex State's Attorney Peter McShane said Moreno threw Aaden off the 90-foot-high Arrigoni Bridge over the Connecticut River between Middletown and Portland. Moreno then jumped himself but survived. "This was a murder-suicide, ladies and gentleman, in which the defendant got half of the equation," said McShane. Moreno's defense attorney Norm Pattis argued the jury should find Moreno innocent because he did not intentionally kill his son. Moreno testified that Aaden accidentally slipped out of his arms and fell off the bridge. He said he didn't intend to harm the boy. Pattis said, "Tony Moreno has not come to this courtroom to be commended for his behavior that night, but he's no murderer." The state argued there is proof that Moreno had a plan from his decision to take Aaden to the bridge that night to the text message exchange with the boy's mother, Adrianne Oyola. "It was no accident he left that house at 11 o'clock. It was no accident he took his son out of the bed and put him in a stroller. It was no accident he didn't pack any other things except a knife and a pacifier. It was no accident that he left three caregivers in the house that could have looked after his son. That was no accident and it certainly was not an accident that he had those texts to Adrianne: vicious, vile, cruel, pointed texts to the mother of his child," argued McShane. He added, "Those texts are more than just hateful. Those texts are indicative of intent." The defense argued Moreno was never explicitly asked to explain what had occurred that night, including the detective and psychiatrist who interviewed Moreno in his hospital room. "No one ever asked Tony the following very simple question: 'What happened on the bridge, Tony?'" said Pattis. Detectives testified Moreno confessed he planned to kill the boy and himself during a hospital room interview. Pattis argued the video of that confession shouldn't have been admissible as evidence because Moreno was not in the right mental or physical state to answer questions. "Would you commit a loved one of yours to be submitted to an interrogation with these stakes in that condition? No. But because it's a dead child all the rules get suspended. 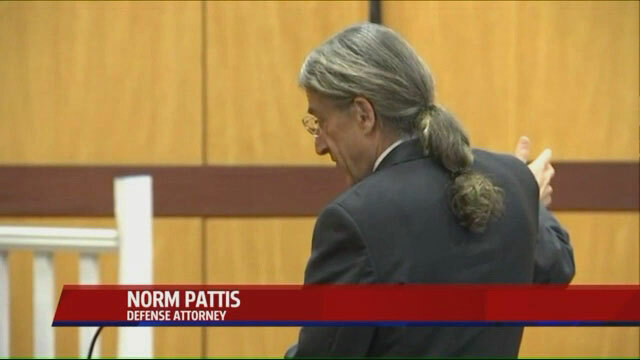 Because Tony's a 'bad man', we can do what we like," argued Pattis during closing arguments. The jury deliberated for a little more than three hours Tuesday before being dismissed for the evening. Deliberations will continue beginning at 9:30am on Wednesday.